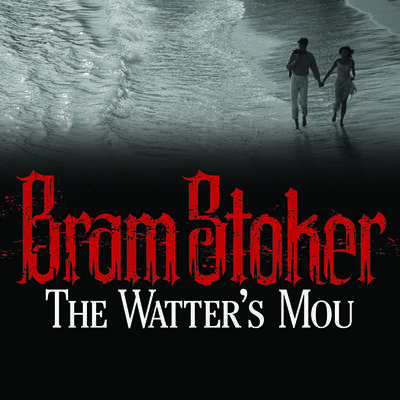 The Watter's Mou', meaning "the water's mouth," revolves around the romance between a young coast guard officer and his girlfriend, the daughter of a fisherman. The officer, William Barrow [or Sailor Willy], is tasked with dealing with smuggling going on among the local fishermen, including his girlfriend’s father. Maggie MacWhirter's father had fallen upon hard times, when once his fishing boat had brought him a prosperous living. When Maggie confesses to Willy that her own father is involved in the smuggling, he is faced with the dilemma on how to handle the situation now that his future father-in-law is one of the culprits. Maggie, not wanting her father to get in trouble with the law, daringly decides to sneak aboard the smuggling ship to try to stop the crew from going through with the operations. But it seems that Maggie may have gone too far... Bram Stoker (1847-1912) was an Irish writer of novels and short stories, most famous for his gothic horror novel Dracula. Although he wrote throughout his life while working as a personal assistant and theater manager, he did not achieve much literary fame until after his death.